There are a number of siding choices available for new or existing homes. 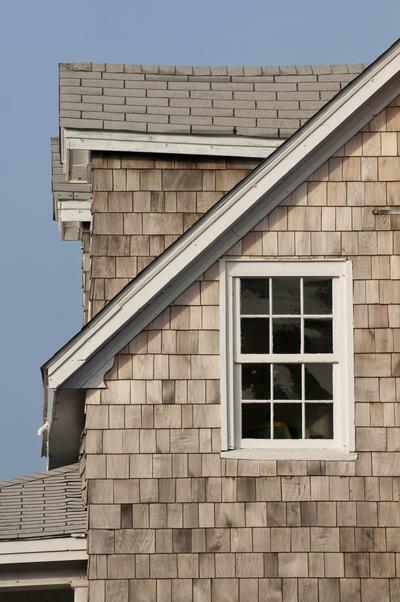 Wood, stucco, aluminum and vinyl siding are all options with pros and cons. Esthetics, cost, durability, efficiency and maintenance are a few of the considerations. Wood is a traditional choice, having been around for thousands of years. It has a higher installation cost and slightly lower efficiency. It also requires greater maintenance to stay in good shape. Painting and treatment every few years prolongs the life and helps it keep its natural beauty. Stucco is common in the southwest mainly due to its ability to keep the interior cool. It is a more labor-intensive installation with slats nailed to the exterior and a wire mesh filled in with a concrete mix. In general, stucco has reduced energy costs in the long run, which may offset the initial expenditure. Because of its brittle nature, stucco needs repair when it takes a hit. If well maintained, stucco can last for many years. Aluminum siding is also cost-effective up front. It does well in colder climates as far as energy costs. Maintenance is relatively simple, but this siding is subject to dents, which are permanent. Vinyl siding is a more modern material, which has a low-cost installation. It is durable and requires little maintenance other than an occasional washing. It falls in the mid-range with respect to efficiency for staving off the sun or holding in the heat, so its installation savings are offset by energy costs. In terms of efficiency, it is important to consider the location of the home as well as the insulation type. Each siding choice has different advantages depending on locale. As one navigates the options, it is important to consult a professional. A qualified expert can answer questions and give insight into why vinyl siding may be a better option than aluminum, for example. Following trusted advice can protect the home and help it shine.